I learned pretty quickly after adopting Luna that I needed to protect the interior of my car. From her need to spontaneously projectile shed to her issue with keeping down her breakfast, I knew I had to take some kind of step to keep my car clean. That’s when I purchased my first seat cover. If you are a pet parent and you haven’t officially decided that you also need a seat cover, I’m here to change your mind. Trust me. You need it and your car will thank you for it. My first seat cover definitely did the job, but there were a few things I didn’t quite like about it. Though I didn’t need a new seat cover, I kept my eyes open for something that might be better and tried my fair share of options. I kept running into issues. They didn’t fit right. They were annoying to take off or put on. You couldn’t have a passenger while it was on. Or they just weren’t durable enough. But the good news is that I think, I’ve finally found a seat cover that fits my car and my needs. As I write this in a hotel room on our way back to Colorado from Virginia, I’m thrilled to be using a seat cover from 4Knines in my car’s maiden voyage out west to its new home. And I’m even more ecstatic that 4Knines has agreed to sponsor Day 4 of our 2017 Stocking Stuffer Giveaways. 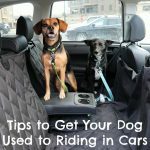 Stick around for the giveaway at the end of this post because you’ll want it and your car needs it! 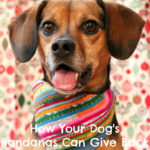 All dogs shed different amounts, but if you have a dog it is likely that you have become accustomed to finding a little bit of dog hair EVERYWHERE. How does that saying go? “It’s a seasoning and an accessory.” Well if you’d rather not collect enough hair to form multiple clones of your dog in your car, then just get a seat cover. You can shake it off, wash it, and if it’s a good one it may even make it harder for the hairs to get stuck in the fabric. Do you have a slobberer? (Is that even a word? 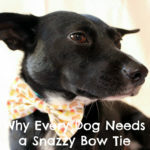 “A dog who slobbers.”) Or do you have a dog who gets a little anxious in the car and pants a lot? If so you may have a little extra moisture in your car than you’d like. 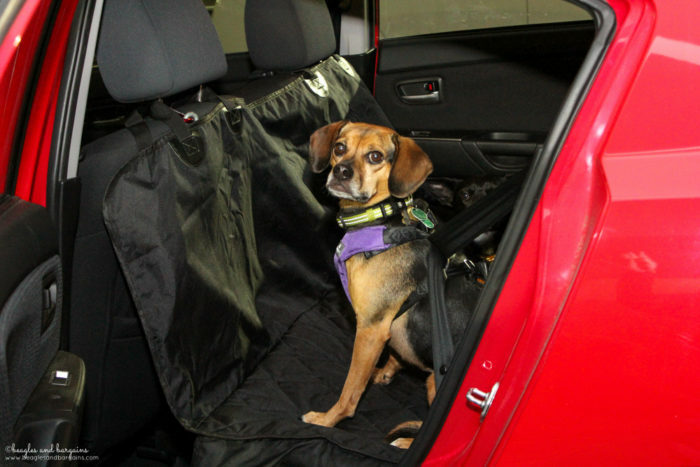 A seat cover helps keep that moisture up and away from your actual car seat preventing gross smells, wet spots, and other damage. There is NOTHING worse than staining white or light colored seats with muddy or dirty paw prints. Even though I have black seats, I still don’t want them covered in dirt or mud. 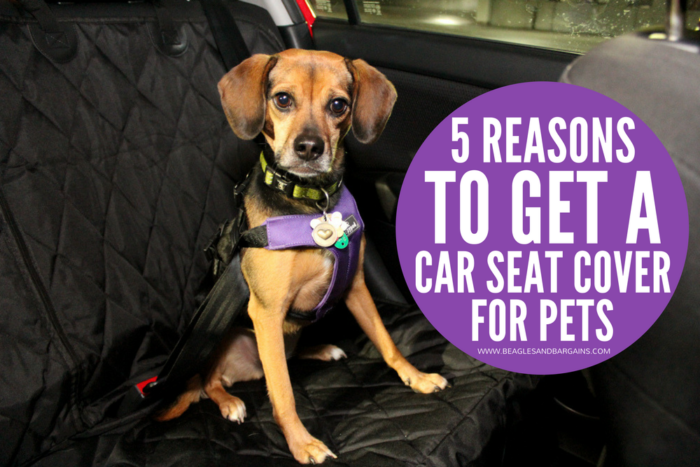 Seat covers are machine washable and help prevent all that gross stuff from embedding itself in your seats. Hey, this may even be handy if you have messy kids or friends. Has your dog ever dropped their ice cream cone or flipped over their puppuccino? It’s the worst, right? 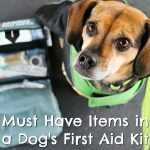 Even if you don’t spoil your dog with ridiculous dairy treats, you may have still had a water bowl spill or even have a human friend that just can’t seem to eat without making the world’s largest mess. If so, a seat cover is certainly for you. No one really wants to talk about vomit, but it happens. 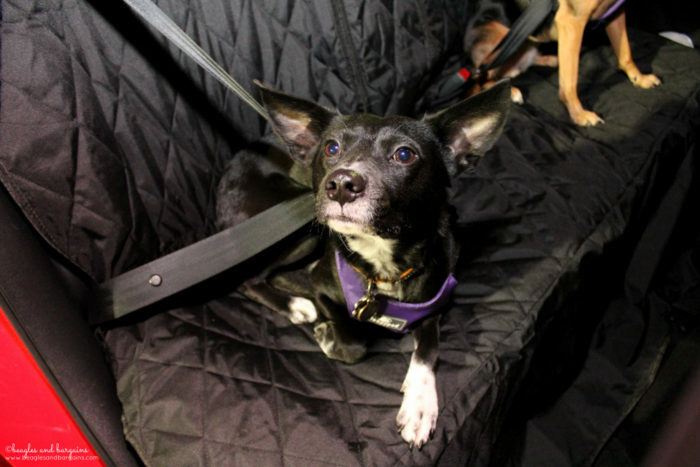 And if your dog is like Luna, then it happens about 30 seconds before you get where you’re going. Really? You couldn’t wait 30 more seconds??? It’s never fun to deal with, but at least you can wash off a seat cover a whole lot easier than a seat that is permanently stuck in your car. On this trip back to Colorado, I’m protecting my back seats with the Split Rear Seat Cover with Hammock in Black and I absolutely love it. When I first agreed to review a seat cover from 4Knines, I admit I wasn’t anything much different from the seat covers I had tried in the past. As I started doing research, I was pleasantly surprised! The idea of a seat cover that can still do it’s job if you have to put down part of your back seats and takes into account the 40/60 split and even a center console is genius! I was hooked and just had to try it. I selected the black regular sized seat cover, but was super impressed they had two sizes available for larger vehicles and three colors (also grey and tan). Though my typical driving car is a Mazda3, we actually rented a Nissan Titan for the drive to Virginia. Though it was a bit on the small side, the regular size still got the job done since the seat cover has flaps that fold over the sides of the seats. When I received the 4Knines seat cover, I was impressed with the overall quality. The fabric was thick enough that it seemed durable and could actually hold its shape. The bottom side is covered with a nonslip backing and it also has two seat anchors to help keep it in place. I opted for the hammock option and I’m happy I did. It works without the hammock as well, but the hammock itself actually let us pack more in the car (crucial on a road trip!) by utilizing the floor space in front of the dogs. The hammock also helps hide the visibility of items on the floor if you are at all worried about theft. If you want to learn more about 4Knines, be sure to follow them on Facebook, Twitter, and Instagram! 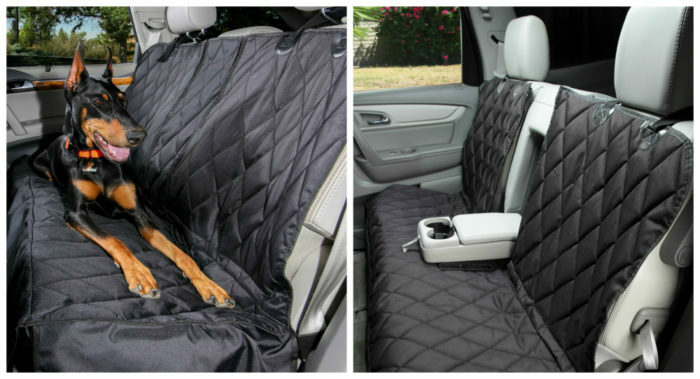 Don’t forget to also check out all their product offerings to find the best seat cover that fits your needs and car. 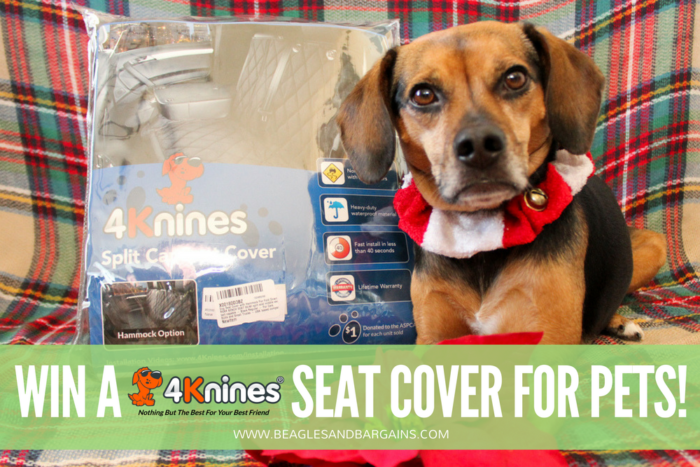 TWO lucky Beagles & Bargains readers will receive a 4Knines Seat Cover! One (1) winner will receive one (1) 4Knines Black Regular Split Rear Seat Cover and one (1) winner will receive one (1) 4Knines Black Front Seat Cover. Approximate retail value is $42.99 or $89.99 depending on prize. 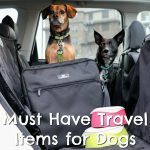 Where is the messiest place you’ve traveled with your dog? Disclaimer: 4Knines provided product free to review. I am being compensated to help spread the word about 4Knines. I received no other compensation or additional benefits for mentioning the brands or products in this post. The opinions and ideas in this post are my own and are uninfluenced by any other person or business. 4Knines is responsible for all giveaway prizes including shipping.